Art Fair Season is Here: What did you buy? Art fair season is upon us, bringing together an extraordinary concentration of artworks, private dealers and galleries. The question between collectors attending these fairs is “what did you buy?”. Well, we have a more important question to those art buyers… how did you insure it? Having a knowledgeable fine-art and collectibles insurance broker to guide you in the process of managing your risk is an integral part of the art buying process. Insuring art requires an experienced broker that knows how to navigate the often-confusing details of art insurance. Who’s responsible for the piece at what stage of the transaction – is it yours once it is paid for, when the title is transferred, or when it’s in your possession? Who’s responsible for packing and shipping – the gallery or a third-party fine arts vendor? Make sure professional fine art packers & shippers are used! If you’re at an international event, or a fair with international galleries represented, will the piece need to go through US Customs and, if so, what precautions will be made and by who? Once home, how do you protect your investments? Being a newcomer to the art scene can be intimidating. Someone starting to collect may not necessarily purchase very expensive pieces initially, so they may not think their art is valuable enough to warrant an insurance policy. We provide new collectors with the same coverage, service, and claims handling as someone with a higher collection value. And they are also protected against exposures they are vulnerable to in their day to day lives. There is no reason a collector of any size should feel their investment isn’t enough to be insured properly. When your collection grows, so will our partnership with you. The limits can be increased and we can continue to provide support and peace of mind over the years. At ArtInsuranceNow.com / Bernard Fleischer & Sons Inc. we know art, and what it takes to insure it properly. We are your resource and can answer any questions you may have regarding the protection of artwork, tools, studio space, museums or galleries. Denver police have arrested an 18-year-old man charged with destroying several pieces of historic Chinese and Mayan rare art that were part of an exhibition depicting animals through the ages at the Denver Art Museum. Jake Siebenlist was arrested for alleged felony criminal mischief. He’s accused of shattering valuable figurines and damaging rare Mayan vessels and Chinese vases, Siebenlist allegedly shoved museum patrons out of his way while grabbing and throwing the rare and fragile sculptures, and pushing exhibits over, causing them to shatter, according to an arrest warrant affidavit. The suspect, Jake Siebenlist at his court hearing. The museum is currently in the process of examining the art pieces to determine which pieces can be repaired and which ones are beyond repair. The suspect’s motive is not yet known. The weirdly coincidentally titled “Stampede” exhibit has paintings and objects depicting animals in artwork throughout the centuries and in different cultures, including Deborah Butterfield’s horse sculptures and artwork by Frederic Remington and Georgia O’Keeffe. Police say 10 Pieces of art were damaged or destroyed, causing over $20,000 worth of damage to the exhibit. Siebenlist allegedly tried to damage two paintings that were protected by plastic display cases but was unable to damage those artworks. These are the risk exposures when an exhibition is open to public view. Something to keep in mind when loaning or exhibiting fine art. Even when loaning to reputable museums you should always have your own coverage. ArtInsuranceNow.com / Bernard Fleischer and Sons Inc. helps to mitigate those risks by providing comprehensive coverage to Artists, Museums, Galleries, Collectors, and Dealers. The Art World comes together at fairs, Insurance keeps it glued together. This is the time many Galleries, Dealers, and Artists move inventory away from their premises to many different art fairs. Over the last few years art policies have changed, when was the last time you checked to see if you have the right coverage at the right cost? Transit for Dealers, Artists and Collectors: Make sure your policy covers the art while in transit by truck, airplane and boat. There are some policies in which you must notify your Insurance carrier when shipping or attending any art fairs. There are better policies that have these automatically built-in at no additional cost. Beware of transporters selling you insurance coverage: Many motor truck cargo policies or inland marine policies from truckers exclude art or when included, there are limitations like the maximum they will pay per complete conveyance, meaning all of the items including other people’s property, so there may not be enough limit to pay you in case something happens. Another limitation is the cause of damage, exclusions of car, train, and plane accidents. Valuation variants: Many of these policies will be based on the price not at current retail value but on what you paid for the item or net consignment. Partial Damage: Many transport company’s insurance policies require you to use specific restorers or conservators without the option of declaring the art a total loss. No payment for devaluation of damaged art. Valuation is based on weight not value. Check the bill of lading before you sign anything. Packing and crating issues: The companies have this condition in almost 90% of the policies. As long as the art is packed in a manner that other dealers would have packed, you are in the clear. Payment: Most transporter insurance polices will pay the transporter who will then pay you. But they can deduct storage, transport and other expenses from the money received from the loss. These polices are in the transporter’s name not yours, hence checks are made out to the transporter not you, unless you are a “loss payee” under their policy. Be sure to buy the right coverage so you can focus on selling your art. Call us at 800.921.1008 or visit ArtInsuranceNow.com and live chat with a professional to answer any questions you may have regarding your particular situation. It’s important to be specific, especially when it comes to art insurance issues. You are expected to know exactly what is covered or not, when your coverage can be used, and what your responsibilities are in the event of a loss or a claim. Insurance terms can be difficult to decipher, and problems can arise when you don’t quite understand what the words or phrases are describing. The good news is Bernard Fleischer & Sons Inc. (ArtInsuranceNow.com) makes your policy easy to understand because we speak to our clients in plain English. Once you get a better handle on what your policy covers, you’ll feel more confident knowing your art is well protected. Q. I notice that the words COMMERCIAL INLAND MARINE is on my policy. If I buy the Insurance Policy, who is my broker and who is the company, Bernard Fleischer and Sons Inc. or Commercial Inland Marine? Property while on exhibition at fairgrounds or on the premises of any national or international exposition, unless this coverage is added by endorsement and an additional premium is paid. Does it mean that I’m not covered if I buy the Insurance? A. Fairgrounds is not an Art-Fair. Art-Fairs are covered by this policy. Fairgrounds is a World Expo, World Fair, State Fair type of venue. Does it mean that if I use Fed-ex or UPS or USPS, I’m not covered? I don’t really understand this. A. USPS regular mail has bad experiences with shipping art. Sending art just by registered mail is not recommended, hence limited values apply. Art sent by Fed Ex and UPS is fine and the full limit of $100,000 applies. – an international exhibition, in my case in Paris (France). An exhibition which is to last 6 months to a year. I understand that If I buy the Artist policy I will be covered for these specific needs, as the territory is worldwide, right? A. That is correct. I would rethink keeping the other policy unless its just covering your personal belongings or Liability. Our policy covers your art, art in progress, materials, tools, equipment and research library. Q. For limits of Liability, I suppose that Paris is a covered location? A. That is correct. For the full $100,000. A. ‘covered location’ is in the studio where the art is created, this is where the tools, materials and reference library are covered. The ‘unnamed location’ is everywhere else, including Paris, storage facilities, galleries, even our offices 😉 Anywhere in the world, except countries without a trade agreement with the USA. In conclusion, there are many different situations when it comes to risk management in the art community and we have the experience and know how to help you protect your art. We are the trusted one-stop insurance for the art community. 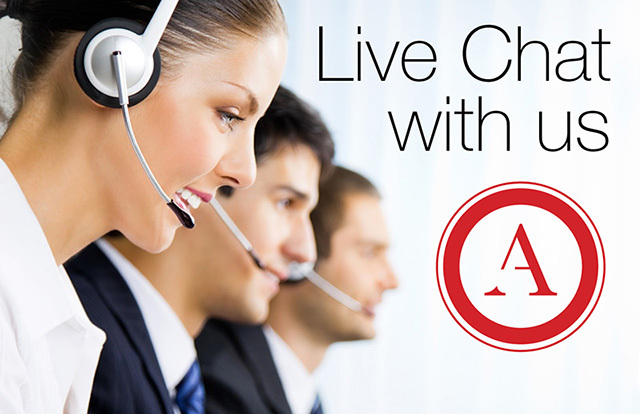 If you have any questions of your own we are available to answer them via Live Chat on our website at www.ArtInsuranceNow.com or give us a call at 800.921.1008 we are always happy to help. You can also read some of our customer reviews on Google here. Sixty percent of all Art-Insurance claims are for works in transit. Art is most vulnerable when being moved and shipped. Prominent cases include Picasso’s “The Painter” worth an estimated $1.5 Million, which was lost at sea, along with 229 lives, when Swissair Flight 111 crashed in Canada in 1998. Galleries often send artworks to collectors “on approval”. One such New York gallery sent a crate of paintings worth many millions of dollars to an extremely wealthy collector on an approval basis. The collector decided against buying them but didn’t do a good job of packing them back up to ship back to the gallery, when they arrived, they were destroyed as they didn’t hire a professional shipper to have them sent back. The gallery had to sue an important collector, which would obviously sever the relationship forever. Another main concern when insuring artwork is working with insurance agents who are knowledgeable vendors able to provide advice for your specific situation. Transit coverage is a must for Art Dealers and Collectors alike. Art moves regularly during acquisition, on loan to Museums, Art shows, and Fairs. The good news is ArtInsuranceNow.com / Bernard Fleischer & Sons Inc. policies’ have transit coverage included. Museum officials say a mother and daughter destroyed a sculpture while visiting an exhibit named “Fair and Square,” at the Susquehanna Art Museum in Harrisburg, PA. The sculpture features children’s toys and a life-sized swing set that has been welded to resemble the scales of justice. The women mistook the sculpture for an interactive piece and pulled the swings down to ride them. Artist Sean Matthews says the piece took two years to create, and is insured for $5000. It is unclear if the women will pay for the damage. The artist is waiting to see if he will be reimbursed. “I looked away for a moment and then, boom, it’s down,” museum director Alice Anne Schwab says. “The swings were swinging … We were just devastated. Schwab said the two then walked to a different section of the museum and picked up pieces of a different art installation despite signage telling visitors not to touch anything. These are the risk exposures when an exhibition is open to public view. ArtInsuranceNow.com / Bernard Fleischer and Sons Inc. helps to mitigate those risks by providing coverage to Artist’s, Museums, Galleries, Collector’s, and Dealer’s. Call us at 800.921.1008 to receive a competitive quote for comprehensive coverage that includes transit, multiple locations and more. You can also visit us at www.ArtInsuranceNow.com. Art vandal slashes $3 million painting, is vandalism covered? A British man has been accused of slashing a multi-million dollar painting in an art gallery in Aspen, Colorado, last year. Surveillance footage shows a bearded man in a hat and sunglasses saunter into the Opera Gallery, lay down a plank to block the doors from shutting fully, head straight toward the painting, then slash its bottom-right corner twice. In May, Aspen Police identified Nicholas Morley, a 40-year-old British businessman, as the perpetrator. He has been charged with felony criminal mischief and a Colorado judge has issued a warrant for his arrest. Morley flew from London to Denver with a false name a day before the slashing, rented a car from the airport, and flew back to London two days after committing the crime, The Aspen Times reported, citing court documents. As It turns out, Morley’s father, Harold, owned the $3 million painting through a holding company in Barbados that traded art. In a situation like this what is covered? what is not? Fine Art’s risk exposure while on display is something that all artists, gallerists, and collectors should consider and insure accordingly. Almost all Art Dealer Policies value the art based on the agreed net consignment amount to be paid if sold +10% for the dealer’s commission. The check is made to the dealer. If you are a collector and have your own Insurance policy, then the valve would be either what is scheduled on your policy or the Market Value at the time of loss either way you would receive a higher payout than the dealer’s policy would pay out. When displaying art in public spaces, know your exposures and insure for them accordingly. A knowledgeable art insurance broker like Bernard Fleischer & Sons Inc. / ArtInsuranceNow.com can guide you to peace of mind and help protect the things you are passionate about. Call us at 800.921.1008 or visit ArtInsuranceNow.com for a free quote to protect your artworks. Watch the theft take place! How secure is your artwork on loan? Is it really “insured”? Police are investigating the theft of a Banksy print from an exhibit curated by the artist’s former manager. The Art of Banksy exhibit – curated by his former manager Steve Lazarides, but reportedly not endorsed by the artist – opened in a Toronto industrial building dressed up as an art gallery, as part of a larger North American run. Every dealer’s insurance policy is unique, all have exclusion, conditions and limits. some have handling warranties, alarm warranties, unpacking warranties, storage warranties. Many have very high deductibles, and no transit coverage. Most have exclusions for water damage, vandalism, mold, fire and theft. My advice to the collector is DO NOT Trust the gallery’s or anybody’s insurance coverage. Buy your own policy, know your coverages and know that if anything does happen, the decision how to handle the loss is with you and most importantly, the check is made directly to you! When loaning art for display, be sure to have the proper coverage. ArtInsuranceNow.com policies are tailored to cover works of art while on or off premises, in transit, storage, in exhibition, in a museum, auction house, and worldwide. Call us at 800.921.1008 and visit ArtInsuranceNow.com to learn more and get a free quote by clicking below. Chelsea Art Galleries catch fire. A Chelsea, NY building that’s home to several art galleries caught fire while the spaces were open for business, FDNY officials said. The one-alarm blaze broke out inside the Paula Cooper Gallery on the top floor of the two-story building that houses several other Art Galleries including the Tina Kim and Tanya Bonakdar Galleries. Following the inferno, people could be seen moving out wet boxes from the building and other items like chairs wrapped in plastic. People rarely expect worst-case scenarios but as insurance professionals we have seen it happen too many times, the question we’d like to ask is “are you covered?” Art Galleries give artists the space they need to exhibit their craft, gain exposure and sell art. And we provide value in knowing if something goes awry, the work is Insured. Due to the nature of Art in a gallery, Gallery insurance is essential. Risk exposures such as unexpected events like fire, flood, earthquakes, and storms, can cause extreme damage to the building and its contents. Manage these risks by obtaining a gallerist insurance policy offered by ArtInsuranceNow.com / Bernard Fleischer & Sons Inc. Call us at 800.921.1008 or visit ArtInsuranceNow.com by clicking the link below.